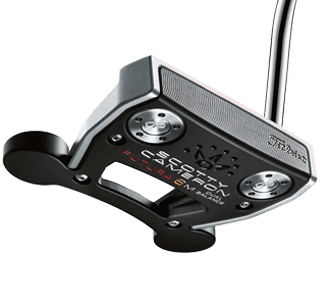 The Best Mallet Putters of 2019 have been announced! 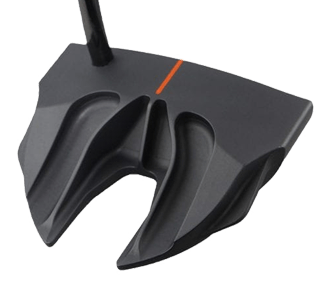 If you are in the market for a mallet putter in 2019, this test is for you. Choosing between a blade and a mallet should come down to both personal preference and your natural putting stroke tempo. 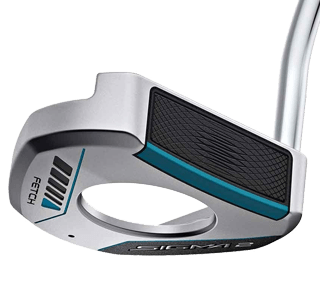 According to PING, if you tend to have a quicker tempo putting stroke, a lighter, blade style putter might suit your game. Conversely, if your stroke is smoother and slower, a heavier, mallet-style putter might be your fit. 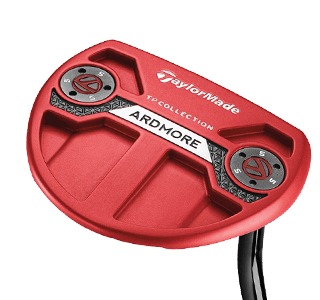 The TaylorMade TP Red-White Ardmore was again a strong performer, finishing second in our 2019 Most Wanted Mallet Test. Featuring an improved alignment system and aluminum Pure Roll Insert, the TP Ardmore Red-White ranked near the top in all three of our subjective feedback categories - looks, feel, and alignment. If you're looking for a mallet this year, make sure the Ardmore is in your consideration set. Of the 30 models tested, we would categorize five as being slight arc, one as strong arc, 23 as straight back straight through (face-balanced), and one as torque-balanced (toe-up). Traditional pistol grips are increasingly uncommon. Only 8 out of the 28 putters tested featured a pistol or pistol-like grip. Almost every manufacturer offered some sort of midsized to oversized grip. Whether it be the P2 Aware Tour grip on the MLA Tour X-Dream putter or the new EVNROLL Gravity Grip – several models offer a unique twist on the grip designed to help stabilize the hands and square up the face. 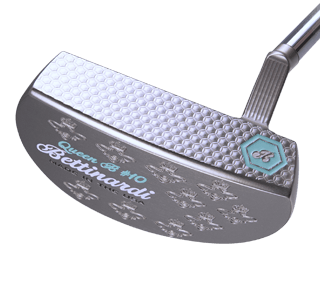 Even Bettinardi putters with their classic cord pistol grip were midsized at the smallest. Mostly gone are the days of the ultra-thin pistol grip. 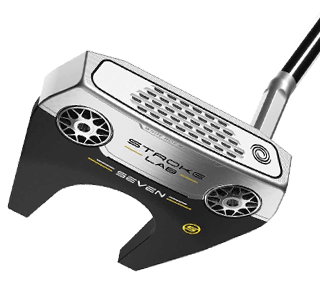 The number of Fang style putters, like the Odyssey Stroke Lab Seven is on the rise. The common theme with the larger-head mallets is to push weight to the perimeters of the head to increase MOI, thereby boosting forgiveness. 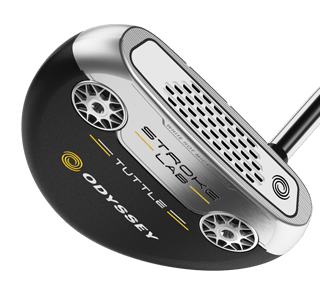 The Odyssey Stroke Lab Seven was rated highest by the test pool, with an average score of 7.9 across Looks, Feel and Alignment. The Stroke Lab Seven was rated the highest in each individual category, as well. 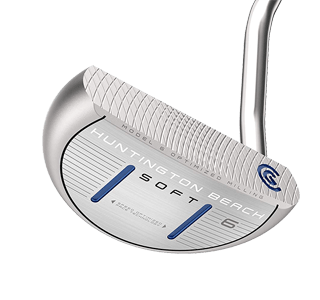 Testers noted exceptionally soft feel, stability, and ease of alignment with this putter. 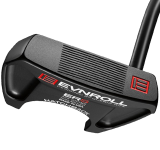 The EVNROLL ER5, Scotty Cameron Futura 7m and the PING Sigma 2 Tyne 4 ranked among the highest for looks. 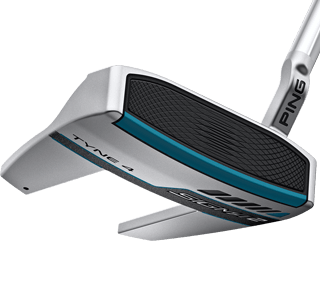 Among the top putters for feel were the PING Sigma 2 Fetch and Tyne 4. 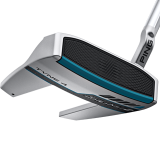 Both of these putters feature PING’s all new Soft Feel insert. 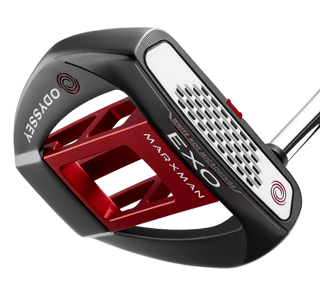 In terms of alignment, the EVNROLL ER5, Scotty Cameron Futura 7m, and Odyssey Exo Marxman were ranked the highest. For all three of these putters, many testers noted how easily these putters set up square to the target when placed on the ground. Several putters that performed well were not popular with the tester. One putter, in particular, the MLA Tour X Dream , was rated near the bottom, despite finishing T2. As we’ve noted previously; in opposition to what many golfers believe, there is little correlation between what looks good/suites the eye and what performs well. 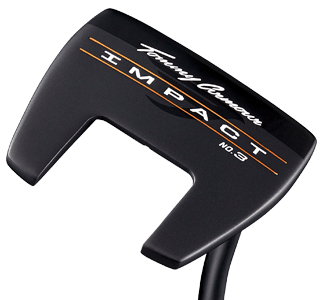 It was a rare occurrence for a putter to be highly rated for one metric and poorly for another. Putters were generally highly rated or poorly rated as a whole. An interesting exception was the Argolf Mordred, which while not rated highly for looks and feel, was rated among the best for alignment. A previous Most Wanted Mallet Test Winner (2016), the MLA Tour X-Dream has been a consistently strong performing putter since the inception of MyGolfSpy's putter testing. 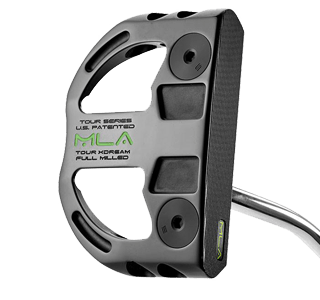 MLA putters feature an alignment designed to activate the many line detectors in our brain. While not a favorite for looks, many of the testers provided positive feedback for alignment. 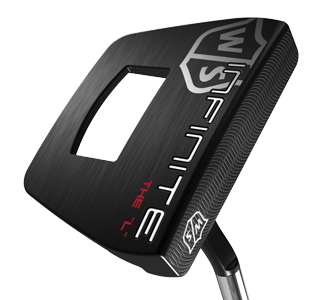 Wilson Staff Infinite The "L"
The face of the putter is one of the most critical parts of the club; after all, it is the contact point with the ball. Every manufacturer has proprietary technology whether it’s EVNROLL’s variable grooves, PING’s TR face, or the traditional milled face, pay attention to what is on the face of the club. 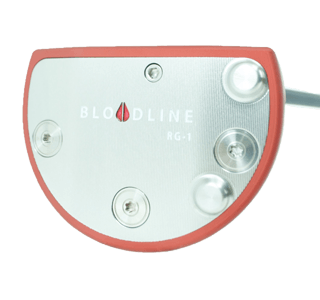 A: To determine the Most Wanted Blade Putter, we run the data through three tests of statistical significance (5′, 10′, and 20′). Throughout our test, golfers 1-putted from 5′ 77% of the time, 2-putted from 20′ 77% of the time, and 2-putted 54% of the time from 10′. Not that 10′ performance is weighted more highly in our rankings as that’s where our data suggests the most significant differences in performance are found. A: Yes, those results will be published in the coming weeks. I have one questions. Does toe hang and flow not hurt the results of this test? Ive read so much on the need for correct toe flow and stroke but all the putters have different amounts of toe hang. I feel like I really struggle with putters that have toe hang. So, I could promise you that all the putters with toe hang would be low on my test scores. But if you got that putter for me in a SBST I might do better than most. I know this proves the importance of fitting and It would be difficult to get this many test subjects but just curious. Love the testing though. Yall are doing a great job. 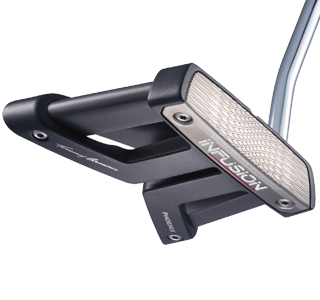 Putters are very personal,and cost is the last thing to consider, What looks and feel right in your hand and eye.what works for me is a $70 used Rossie. I’ve had 5 putters in 48 years so if you find the right one wear it out at any cost.. I would like to know if the putters tested had the same grip? If they were all different, I’d have questions on the results. 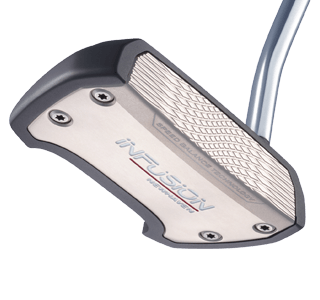 I personally prefer midsize, like a 2.0, and I don’t like the feel of putters with smaller pistol grips. 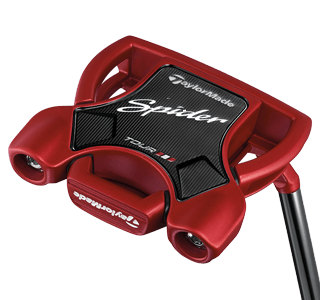 But put a midsize on and it is a completely different putter. If you’re buying a new putter and you knowingly putt better with a midsize grip, wouldn’t you want a midsize grip put on the putter when you test? Conversely, if you putt better with a smaller grip, wouldn’t you want a smaller grip on the putter when you test? 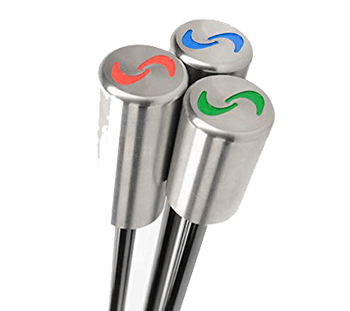 Putting the best grip for each individual tester, of stock options, on the putter provides us with the best overall test in terms of performance of each putter. If everyone is at their supposed best for putting, and an individual putter outperforms a different one, then we can confidently say that putter is better. The gripsize is irrelevant to that. So the Odyssey marksman strokelab was a higher percentage in 5’ and 20’ than everything and middle/high percentage on 10’(don’t know how that happens) yet it’s not ranked highly at all even though the stroke labs are far better than everything else and the number 1 used putter company on tour and by the public. The Tommy Armoir went 20/60/20% and got #1 ? Love the data don’t get the rankings. Maybe because Odyssey/Callaway doesn’t pay to advertise on this site. Seems like it’s 1995 and Tommy Armour is the number one in golf with the 845 line!! Right. Yup…that must be it. If Odyssey doesn’t win, the fix is in. 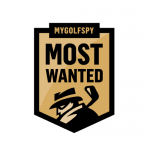 FYI – Callaway (owners of the Odyssey brand) finished on top for Most Wanted driver this year. Won Most Wanted fairway last year. To arrive at our final results, we analyze the data for statistical significance. Top group percentages (the percentage of the time a putter finishes in the statistically significant top group across the testing pool) are leveled to account for performance at distances and weighted to favor 10′ putts as our tests show it’s where the greatest differences are found. 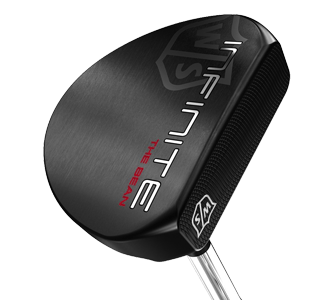 The Most Wanted Winner is the putter that finished with the highest adjusted top group percentage. 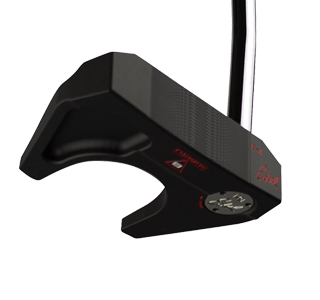 Haha, I’ve got the winning putter in the back of my Yukon where it’s been ever since I bought my er3.. it’s ready and waiting ever so patiently should the evnroll ever falter…. Nice to know it wins AGAIN! what going on with the percentages. is this the best way to present the data results? the stroke type is cut off on my desktop . We’re trying to find a better way of listing/describing it. There’s a little bit of math involved, and it’s not the most intuitive thing, but we don’t want to misrepresent anything either. I’m looking at converting it to an ‘out of 100 score’ to try and simplify. I guess you will explain in another video, but why did the TA outperform the group? No visible groove tech of sort. Are other manufacturer just overdoing it or the larger testing pool giving better reliability? TA is doing well, but correct me if I am wrong, they seem to be followers. They don’t really innovate, but rather just take other manufacturers tech/ innovation and package it in the most cost effective way? Very obvious to me in the driver, but the putter just looks too simple. Maybe the putter head hit a wall. Yes, I read your piece on TA, but memory tells me that they use high end welding process (via third party) rather than pushing the envelope in design. In other words, without the big boys, TA wouldn’t exist or would get costly due to R&D. 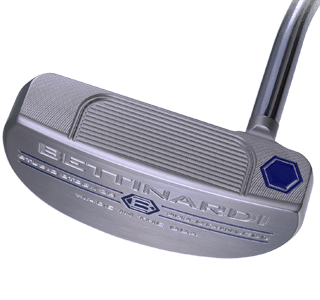 To me, they are like the Kirkland brand of putters. Amen! Well said . !Could some of the “extra” stuff be cosmetic on ? Overall good and best in price. What happened to Evnroll’s dominance? 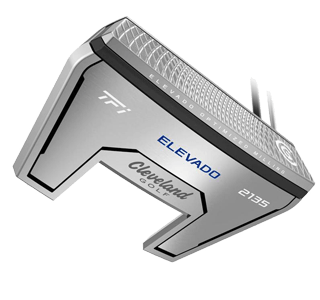 The much vaunted groove “tech” on putters just doesn’t make a statistically significant difference that’s why. That’s coming from someone who purchased and used Evnroll ER7 for several months after it won the Most Wanted a couple of years ago. There is simply only so much that a groove on a putter can do, and given the speed that a putter impacts the ball, that so much is so little indeed. Other factors such as having a putter with the correct length, lie, balance and alignment have far more impact on your results. MGS have just helped prove that with the TA putter winning it all. A proven design, but no special “tech” to speak of. 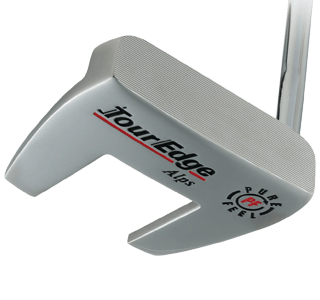 For the money though, the TA putter might be hard to beat, if it fits you and your stroke. I agree with you completely !! Great that others don’t take it hook line and sinker..
Well ER-8 won last year against the same Tommy Armour impact, and ER-7 won the previous year. This year an ER-5, but in a black colour was tested? 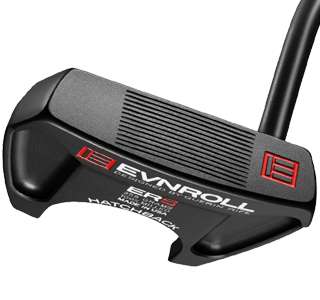 Doesn’t that mean the ER-8 is still the most wanted putter??? Actually, the Tommy Armour and Evnroll tied last year. We listed alphabetically, so the Evnroll was listed first, but both graphics clearly have #1 on them. Evnroll submitted new/different mallets this year. To me, mallet Putters are the New Balance Dad Sneakers of the golf world. I really don’t think they would help me, and if they did, I’d rather lose a couple of strokes than carry those goofy things around. It wouldn’t even fit in my bag anyway. Yes, Dustin Johnson and all those guys are wearing dad sneakers..
Bad analogy there Tim. Mallets can look very cool whereas New Balance sneakers will never look cool. I’m thinking a fair proportion of us will disagree with you here Terry, probably on the mallet piece but definitely on the New Balance comment. Older generations I could agree with you but not the newer generations! They look great, and are super comfortable! I guess if you’re never been a athlete you would never know how good new balance running shoes are. 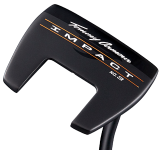 I bought the Tommy Armour Impact putter based on the mygolfspy article on it a few months ago. I agree that it is the best value. However, I disagree with the mygolfspy comment that it ranks high on feel. 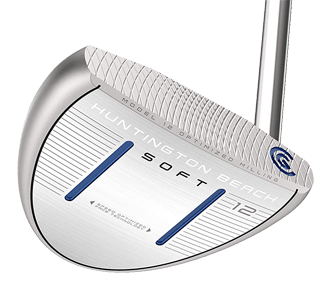 The feel is firm and I do not get a lot of feedback unless I hit it on the extreme toe or heel. 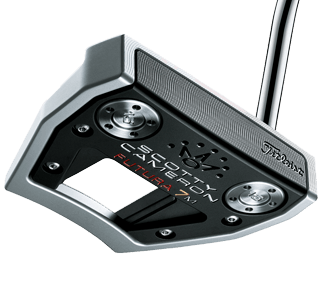 I think there are better putters out there for feel but they come at a far higher price. I bought the Ping Sigma 2 Tyne 4 after a fitting. I have really liked it. The adjustable length is good for fitting, but I ended up special ordering one at 36″ and putting a Forward Golf Grip on it. I have been very happy with it. I tested the Tommy Armour over the winter. I didn’t feel quite right. However, the Ping Sigma G Tyne H right next to it that felt great. The previous version sale price was only a little more than the $79 Tommy Armour. The Ping came home with me. Funny, felt the same thing. I had last years TA 38inch (duel balance) and wife had the Sigma G Tyne. Yanked the heads off each and glued on the Sigma G Tyne to the TA duel balance shaft. Putt real well with it. Tommy Armour bringing it. 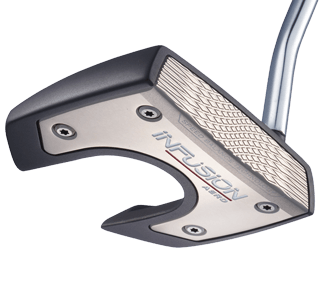 Wonder why the new Infusion series wasn’t tested?…….That said if you haven’t tried MG Golf Cambridge be smart and buy now. Not only were they tested. They even tested 3 of the infusion mallet models. Ugh!! !How can you ever put with such ugly looking mallet putters ! 7 out of 10. 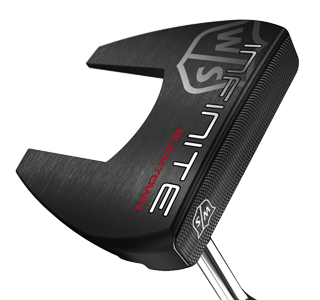 70% of the OWGR Top 10 use high MOI putters. Facts Matter! Step in to the future where science, statistics, and innovation can improve your life and even your golf game! I must amend my previous post because facts do matter. Upon viewing the WGC match play I noticed that Justin Thomas is not using a mallet putter at this time. 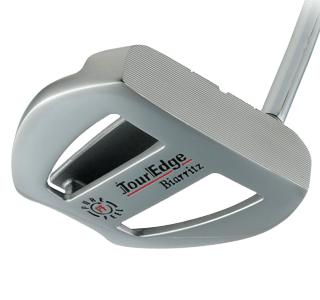 OWGR 6 of 10 using High MOI Mallet putters. I stand corrected… Just watched in earnest, and Justin Thomas is using a “blade” type putter. He’s been bagging the Phantom X5, hmmmm. I really can’t stand ignorant people. Who let this guy in? You might be too old to understand what trolling is but you are trolling. I am a very good putter and I use a mid mallet. I’m surprised a guy stuck this far in the past would even know how to use the internet! Keep your blade, I’ll take the skin. Did you seriously just write this?! I guess Justin Thomas, Rory MciLroy, Jason Day, Webb Simpson, Justin Rose, John Rahm, just to name a few, aren’t very good putters. Or how about Kevin Tway, Xander Schauffele, Charles Howell III, Adam Long, Dustin Johnson, Adam Trainer, Keith Mitchell, Rory MciLroy – all winners in the current PGA season. To take that a step further – 6 of the Top 10 players in the world currently use mallets. But what do they know…. Raymond drove his Edsel to the club, wearing his plus-4s, pulled the knit headcover off his hickory shafted persimmon driver and cranked one out about 220 on the screws. And remained an amateur like Bobby Jones. Wow, you must be a joy to play with. The data is the data, but damn is that thing ugly. Thats like the Ronaldinho of putters. Scott, agreed. The presentation and explanation isn’t very clear. And it’s interesting how some questions and comments get a barrage of MGS replies, yet others go ignored. Anyway…maybe this helps, it’s how I interpret the results. The % indicates how often a putter performs better than average (we don’t know how much better, they don’t tell us). 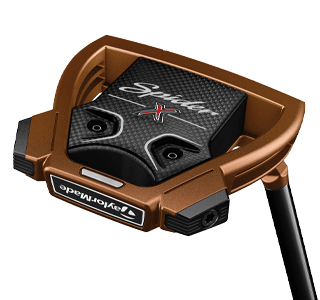 So let’s consider a 10-person test group, and look at a 20% score for a putter—2 out of 10 people (20%) performed better than average (not great, or best…just better) with this putter, and 8 people performed lower than that. All of the 20′ foot results are 20% because everyone is going to 2-putt from that distance most every time. Put a brick on the end of a broom stick and you’ll probably 2-putt. The putter just doesn’t matter that much at 20′. The 5′ results vary a little, but not much. Most scores appear to fall in the 20-30% range (2 or 3 out of 10 agree a putter is better than average). 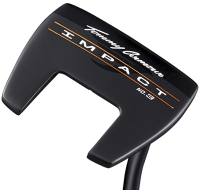 The putter makes a small difference at 5′. The 10′ results start to show some appreciable agreement between testers. For some putters, there’s actually majority agreement–6 out of 10 testers, or 60%, for the winner. But for most putters it’s 3 or 4 out of 10 testers in agreement. 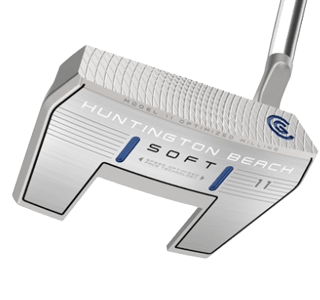 The putter makes a slightly larger difference at 10′, but there is rarely a consensus. Thanks Art, that helps some. Is that Tommy Armour putter the same as last year? Wow. Another strong year for the Tommy Armour Impact No.3. Why is it no one shows the grip when showing/testing putters? Good point but, FWIW, grips are easy to change – and the first thing I’d almost certainly do with any new putter. SuperStroke Flatso 3.0 is my grip of choice.